Cataracts are common among older people, with cataract surgery being one of the safest surgical procedures performed among Americans. If you are exploring treatment for cataracts, you may be interested in laser cataract surgery. Traditional cataract surgery is completed using a small blade for an initial incision, followed by a procedure conducted with a phacoemulsifier. A phacoemulsifier is an ultrasound device that vibrates at such a high speed that the cataract is emulsified or dissolved into tiny fragments and gently suctioned out of the eye. In 2011, the Food and Drug Administration gave approval to several laser companies for laser cataract surgery, referred to as femtosecond laser cataract surgery. During traditional cataract surgery, a small incision is made in the periphery of the cornea. The incision is made with a metal or diamond blade held by the surgeon. This self-sealing incision is only about 2 to 2.5 mm long and has a slight vertical and horizontal component so that no stitches are needed. In laser cataract surgery, with the femtosecond laser, a surgeon can view a magnified, high-resolution image given to him or her by a built-in OCT device. A peripheral incision can then be made strategically without taking the surgeon's experience into account. This laser-designed incision is safer and seals better than a surgeon-made incision. The next part of a traditional cataract surgery is the capsulotomy. During a capsulotomy, the surgeon tears a small opening into the front part of the lens capsule that holds the lens and cataract. The accuracy of this part of the surgery can vary from surgeon to surgeon as the preciseness of the capsulotomy depends on the surgeon's experience. The surgeon will create this opening by using a needle to tear a small hole in the capsule. The surgeon will then use forceps to tear a circle into the front part of the capsule. This is a critical part of the surgery because the old capsule will remain to hold the new implant or intraocular lens, which is inserted into the eye to replace the old lens-cataract complex. In laser cataract surgery, the capsulotomy is created in a nearly perfect circular fashion and is completely independent of the surgeon. This circular incision can be centered perfectly to hold the new lens implant in place. 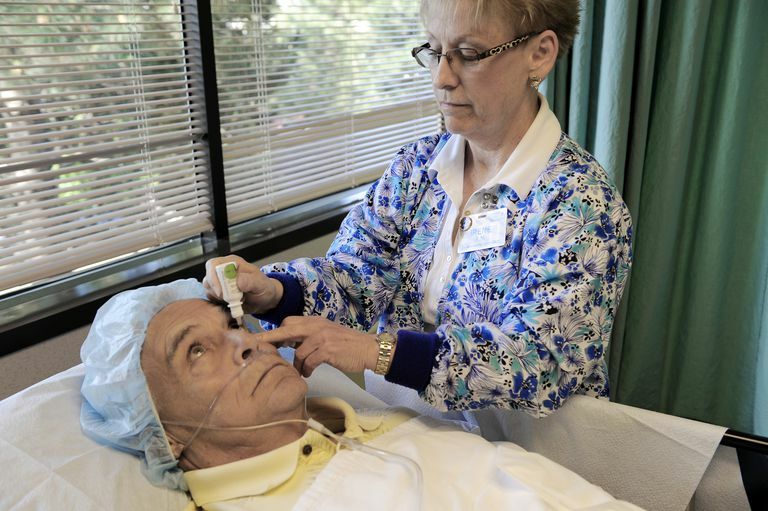 Once the capsulotomy takes place in traditional cataract surgery, the surgeon uses a phacoemulsifier device that uses super high-speed ultrasound to break the cataract into small pieces, which are then gently suctioned out. With the femtosecond laser, the lens is broken into small pieces as with the phacoemulsifier. The advantage of using the laser is that much less energy goes into breaking the cataract apart, thus reducing potential complications, such as accidentally breaking the capsule, or more severe complications, such as bleeding or retinal detachment. The next step in the cataract procedure is to insert a new intraocular lens implant to replace the lens that was previously removed. In most patients, the calculated power of the new lens implant attempts to decrease the need for the patient to wear glasses for most distance activities after surgery. If the person having surgery is nearsighted or farsighted, the lens implant will compensate for that prescription. Occasionally, residual astigmatism will arise, causing less than desired vision after surgery. Many surgeons will create small incisions using a blade to compensate for residual astigmatism. Once again, with the laser, more accurate, better placed, laser-induced incisions can be made in an attempt to eliminate astigmatism. Is Laser Cataract Surgery Better? Traditional cataract surgery remains a very safe and effective procedure. Most physicians believe that laser cataract surgery is definitely the next step to further improve the safety and outcomes of people having cataract surgery. Most cataract surgeons believe that eventually all cataract surgery will be performed using a laser. Today, laser cataract surgery will likely shine most brightly in the premium multifocal or presbyopia-correcting implant surgical specialty. These premium multifocal implants lessen the dependence on post-cataract corrective eyeglasses by correcting not only distance vision problems but also intermediate and near vision. These implants are designed to enable the patient to only require eyeglasses on a very limited basis. This type of surgery requires greater precision, hence the femtosecond laser. One of the few drawbacks of laser cataract surgery is a cosmetic concern. People who undergo the laser procedure usually develop more redness the day after surgery, due to docking of the instrument during the surgery. The second drawback is cost. The laser systems that are currently FDA-approved for cataract surgery cost the surgeon anywhere from $400,000 to $500,000 to purchase. Surgeons sometimes struggle with the idea that although newer technology may be better in some regards, a significant increase in cost may not be beneficial for the patient or the health care system in general. It is very doubtful that Medicare and insurance companies will cover the procedure. Thirdly, although each step of the laser procedure is probably safer, the whole procedure itself takes much longer, increasing the risk for complications or infection. In the skilled hands of the cataract surgeon, traditional cataract surgery can take as little as 10-15 minutes for the actual surgery itself, with laser surgery taking significantly longer. Cunningham, Derek and Walter Whitely. "Femto-Phaco: Are we witnessing the next revolution in cataract surgery?" Optometric Economics, May 2012. Guttman, Cheryl. "FDA Oks new indication for FS femtosecond laser creation of arcuate incisions." Ophthalmology Times, May 2012.